IMPORTANT* The Westin hotel still has limited availability and is offering a last-minute group rate of $273 to CHI attendees. Reservations can be made either by calling the Central reservation at 1-866-837-4262 or here. Please be sure to mention the ACM CHI conference when booking. Hotel reservations will be made through the CHI 2018 registration page! Official CHI 2018 hotels will not accept reservations directly. Reservations must be made through the CHI registration site. You must be registered for the conference in order to make a hotel reservation; however, you can also register for the conference now and update your CHI reservation later with a hotel request. Please note that a credit card is required to reserve your hotel room on the housing site; however, this credit card will not be charged until you check out of the hotel. If you wish to pay by check deposit, please contact our housing coordinator, Brooke Daley, directly at chilodging@executivevents.com. See the Housing FAQ for answers to common questions. CHI 2018 has a selection of hotels at a range of prices to accommodate your needs. In the heart of downtown Montreal, the hotel features modern rooms with wooden floors. All rooms include a huge flat screen TV, an iMac computer and the fastest WiFi network. A large continental breakfast is also included with your stay! Complimentary Internet in guest rooms for all CHI attendees. The Embassy Suites is located in the heart of the financial district and is adjacent to the Palais des Congrès de Montréal (convention centre). Hotel amenities include free made-to-order breakfast and complimentary Evening Reception, an all-day restaurant with optional alfresco dining. The Embassy Suites also features a fitness centre with cardiovascular and strength training equipment. Complimentary Internet in guest rooms for all CHI attendees. 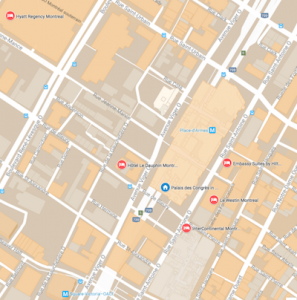 Hyatt Regency Montreal is centrally located in downtown Montreal, in the heart of the vibrant entertainment district. 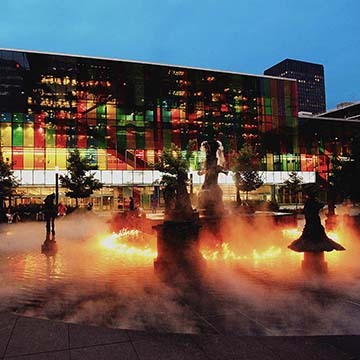 Our Montreal hotel is conveniently connected to Complexe Desjardins featuring over 100 boutiques and restaurants linking via an underground walkway to the Palais des Congrès de Montréal (convention centre), just a 5-minute walk away. Take a swim in the inviting indoor pool, visit the steam room or sauna, schedule a soothing spa treatment, or a workout in our 24/7 StayFitTM Gym. Complimentary Internet in guest rooms for CHI attendees. The Intercontinental Montreal flaunts the perfect alliance of rich historical heritage and fresh contemporary design. Elegantly overlooking the international business area with its 26-story building with tourelles, the hotel is located above the Montreal World Trade Centre between downtown and Old Montreal. 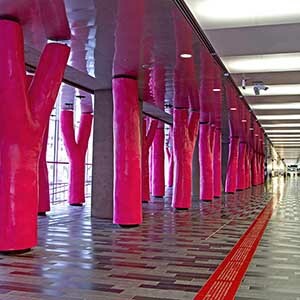 Connected to the underground city, the Palais des Congrès de Montréal (convention centre) and close to two subway stations, the hotel’s location will allow you to discover many of the city’s points of interest. The Intercontinental has two restaurants featuring warmth, elegance and mouth-watering flavours. The hotels Health Club features an exercise room with state of the art equipment, a 15-metre indoor salt-water lap pool and dry sauna in both changing rooms & steam bath in the men’s changing room only. Complimentary Internet in guest rooms for CHI attendees. 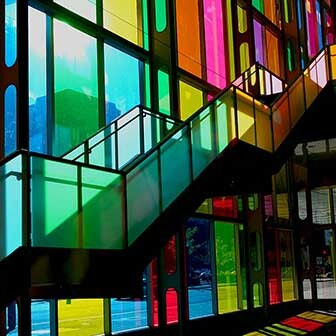 Located in Montreal’s historic district near Basilique Notre-Dame de Montréal and the Palais des Congrès de Montréal (convention centre), Le Westin Montreal is an ideal place to unwind. All 455 guest rooms are a calming oasis within walking distance of restaurants, shops, and historic sites. Experience complete renewal with revitalizing amenities including a glass-bottom indoor pool, WestinWORKOUT gym and street-level restaurant that keeps you nourished with delicious SuperFoodsRx dishes. Complimentary Internet in guest rooms for CHI attendees. What is the deadline for booking housing through the CHI 2018 housing site?The deadline for reservations is 5:00 PM Pacific Time on Thursday, March 22, 2018. Requests received after this date will be accepted based on availability. Rates after this date are not guaranteed. How does booking my hotel through the CHI site work?Once your registration is complete, you will receive a confirmation email with a link to your detailed registration record (including your hotel reservation request, if applicable). Your hotel reservation is guaranteed and you will receive your confirmation from the hotel of your choice approximately three weeks prior to the conference. Changes after registering (up until March 22nd) must be made by contracting the CHI Housing Bureau directly. What else do I get for booking through the housing site?All official CHI 2018 hotels offer complimentary internet in your guest room. Attendees booking through any other mechanism will not receive complimentary internet. Why book at the CHI 2018 hotels?In order to obtain the special conference rate attendees must make hotel reservations through the official housing bureau for CHI 2018. This site offers one-stop reservations for CHI attendees and accepts reservations online or by phone. Utilizing the housing bureau also allows us to keep our conference costs low and continue to offer room blocks for our attendees.ACM and CHI work hard to make sure that the conference rate is competitive, and monitor the hotel’s other rates to make sure that our attendees are receiving the best deal. Your stay helps SIGCHI meet our obligation to the hotel, allowing us to keep registration rates low. Without your hotel stay, ACM may be assessed a financial penalty which would jeopardize our ability to provide quality conference opportunities in the future. I need to stay in Montreal outside of the April 19-April 28 window that is available through the housing site. How do I make a reservation in this case? If you require a longer stay, please contact Brooke Daley at the CHI Housing Bureau directly, as she can work with you to accommodate a longer stay. What is the hotel cancellation policy?Reservations must be cancelled with the hotel 72 hours prior to arrival to avoid a 1 night room & tax penalty charge. If cancelling or changing your hotel reservation prior to March 22, 2018, please contact the CHI Housing Bureau. If cancelling or making changes to your reservation on or after March 22, 2018, please contact the hotel directly and request a written cancellation acknowledgement.Hotel confirmations will begin going out approximately three weeks prior to the conference.As part of a room block, all changes need to be made through the CHI Housing Bureau, and not the hotel, prior to March 22, 2018.